College students seek part-time jobs for spending money to deflect some of the expense and debt of higher education. For some students jobs are also building resume points for the future. They can become permanent employment or later develop into a career. Here, we offer a list of the highest paying hourly jobs for college students. We also take into account how these jobs allow the students the time and space to pursue their degrees. Waiters and waitresses appear among our highest paying hourly jobs for college students list because there exists a number of restaurants that offer ways for students to pay for college, both through wages as well as through tuition programs for restaurant employees. Openings typically arise because of the high turnover of waiters and waitresses, many of whom are college students. What does a waiter or waitress do: This occupation requires listening, walking, strength and coordination, as well as courtesy. A waiter or waitress takes orders and fulfills them, carries dishes and beverages, and ensures that the patron has a pleasant dining experience. Patrons may have questions about restaurant dishes or specials which the waiter or waitress must answer. What hourly pay a waiter or waitress has: The U.S. Bureau of Labor Statistics reports that waiters and waitresses earn on a mean basis $12.15 per hour or $25,280 per year as full-time workers. Employment of restaurant cooks should follow the six percent increase through 2026 expected across the employment sector. The number of restaurants, especially fast-food and chain establishments, should support the hiring of college students. As evening and weekend shifts are prevalent, college students should not find class schedules interrupted. What does a restaurant cook do: The job title entails more than baking, frying or heating dishes. Restaurant cooks prepare ingredients, season, check stoves and other kitchen equipment and clean their utensils and stations. Math skills also come into play, as cooks measure quantities and read thermometers to ensure foods reach adequate and safe temperature. What hourly pay a restaurant cook has: Restaurant cooks earn on a mean basis $12.71 per hour or $26,440 per year. Telemarketing often receives a poor image for its interruptions of dinners, gatherings or personal time. With email, social media and Internet marketing, telemarketing doesn’t figure largely in marketing strategies. However, we include this on our highest paying hourly jobs for college students because a fair number of organizations, including colleges, use telephone solicitation for fundraising or sales. Companies may use telemarketers to get additional sales from existing customers in particular. What does a telemarketer do: The job description of a telemarketer calls for skills in persistence, handling rejection, communication and customer service. These workers explain the benefits of a product, service or a cause for which donations are sought. Telemarketers may also gather information from call recipients for future reference. What hourly pay a telemarketer has: Telemarketers garner an average hourly wage of $13.30, and an annual full-time salary of $27,670. Rollouts of new recipes, flavors, and variations of products from famous brands will need ambassadors to tout them. Holders of brands often rely on college students who can reach scores of people located in concentrated areas. What does a brand ambassador do: A brand ambassador delivers in a positive way the image and message of the brand. Specific tasks depend on the brand, but generally include product demonstrations, offering samples, delivering literature or other content and manning booths at public events. Performing these duties requires communication, stamina if standing is involved and a personable demeanor. What hourly pay a brand ambassador has: As reported by PayScale, the mean hourly rate stands at $15.56 for brand ambassadors. A set of highest paying hourly jobs for college students should include one with academics as a theme. Tutors often come in high demand for fellow college students and those in elementary or high school. According to a U.S. Department of Education report, nearly one out of three high school students in 2014-2015 required tutoring. Many tutors work independently or otherwise as freelancers at the request of parents. What does a tutor do: Tutors focus their instruction and assistance on a specific individual or small group. Rather than teach multiple subjects or subsets of a subject, tutors often concentrate on a particular area in which the student requires help or extra work. In tutoring sessions, students may learn and grasp subjects in small steps and pieces. What hourly pay a tutor has: According to PayScale, the mean hourly pay rate rests at $17.43. On a yearly, full-time basis, tutors earn $34,735. The U.S. Bureau of Labor Statistics suggests that medical transcriptionist represents one of the least in-demand of our highest paying hourly jobs for college students. In pursuit of cost savings, many medical providers outsource their transcriptionist services. With the high volume of health care services and the demand for these, medical transcriptionists can find opportunities with transcriptionist companies or through freelancing. What does a medical transcriptionist do: Voice-recognition technology prepares at least drafts of dictated medical reports. As such, the medical transcriptionist’s role is less typing and more editing for grammar, syntax, and accuracy of the draft. This requires the transcriptionist to listen to the audio and spot inconsistencies or illogical statements, given medical terms and the context of the medical visit. The job duties also include entry of electronic health records. What hourly pay a medical transcriptionist has: According to the U.S. Bureau of Labor Statistics, the mean hourly rate stands at $17.50 per hour, translated to an annual full-time pay of $36,400 per year. Increased consciousness on health and fitness supports the demand for fitness trainers and aerobics instructors. 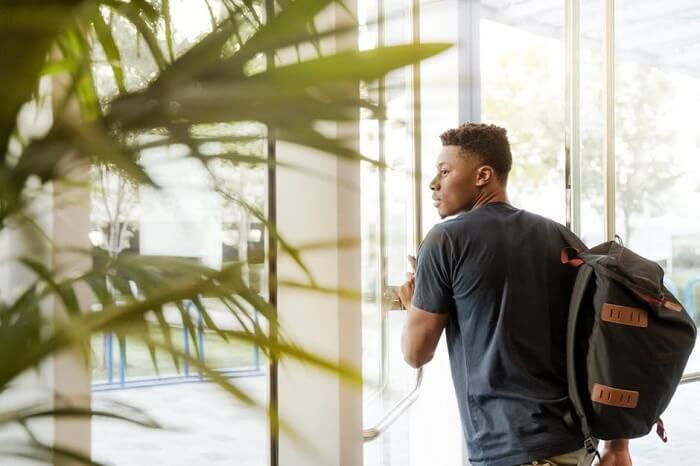 Certified or otherwise qualified college students get advantages of available jobs at fitness clubs or campus-run facilities and flexibility. As with other jobs on our list, freelancing appears as an option. What does a fitness trainer or an aerobics instructor do: These workers lead classes and sessions of aerobics and other exercise classes or work individually with gym members or clients. Trainers and instructors teach and advise on pace, techniques, use of equipment, resting and vital signs during exercise. The conditions of the exercise and fitness participants and the equipment fall within the oversight of the trainer or instructor. What hourly pay a fitness trainer or aerobics instructor has: PayScale reports an hourly wage of $19.43. Meanwhile, the annual salary registers at $38,974 for fitness trainers or aerobic instructors. Thanks to the high pay rate and freedom of scheduling and assignments, freelance writing ranks high as one of the highest paying hourly jobs for college students. With the flexibility, though, comes significant time searching for paid assignments. Magazines, newspapers and other publishers, online and otherwise, furnish work to these writers. What does a freelance writer do: Freelance writers research, organize and present content as assigned or requested by the recipient of the work. Meanwhile, gathering background information involves the Internet or other research and perhaps interviews. However, in some cases, freelance writers collaborate with graphic artists, photographers or videographers. Freelancers must ensure their work is factually and grammatically correct. What hourly pay a freelance writer has: Freelance writers enjoy a mean pay of $24.08 per hour, translating to a full-time annual pay of $39,086. As with freelance writers, freelance photographers in college can choose their assignments, work hours and pay. Similar to their literary counterparts, the photographers must search for clients, contact publishers directly, submit samples and pitch ideas. Often, freelancers in college find themselves competing with more experienced and established photographers, especially for high-profile assignments. What does a freelance photographer do: Freelance photography involves capturing subjects and events from many angles and perspectives. Moreover, the work often requires multiple attempts for the image that complements an article or other publication. Freelance photographers may also compile collections for use as stock photographs. What hourly pay a freelance photographer has: Freelance photographers fetch $25.08 per hour, or approximately $35,669 per year, on a mean basis. Companies and others have harnessed Facebook, Twitter, Instagram and other social media platforms for marketing and messaging. Therefore, the prevalence of social media among college students makes the social media assistant a natural entrant to our highest paying hourly jobs for college students list. What does a social media assistant do: With applications and tools, the social media assistant schedules when a company or agency’s social media post will appear. Also, assistants may type content as requested by the employer or even offer their own ideas for social media content. What hourly pay a social media assistant has: Monster.com reports that the mean pay for social media assistants stands at $29.21 per hour. Finally, the highest paying hourly jobs for college students represent brick-and-mortar businesses and sectors involving technology and publishing. Flexible schedules and assignments characterize many of these. We look forward to hearing your thoughts on these or other hourly paying jobs you have been paid when in college.